The Japan Vipassana Association (JVA) is a non profit organization which offers courses in Vipassana Meditation as taught by S.N. Goenka and his assistant teachers in the tradition of Sayagyi U Ba Khin. an Art of Living. 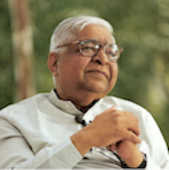 For those who are not familiar with Vipassana Meditation, an Introduction to Vipassana by Mr. Goenka is available. There are two Vipassana meditation centres in Japan: Dhamma Bhanu, Kyoto, and Dhammadicca, Chiba. Courses are available throughout the year and further information can be found on the Courses page for each centre. For information about courses in other parts of the world, please visit www.dhamma.org.